Who does not know parsley? Even popular songs mention about it. For me, it is the green leaves that those chefs sprinkle on top of most of my favorite dishes. Gosh, the recipe looks so appetizing with the parsley garnishing. Aside from garnish, parsley actually has many uses than just to add contrast to your food. It can add up to the tang of your dish when cooking as well. Do you have a ready alternative when you run out of parsley? I mean, it is one of the world’s ever-popular herb, so, it has to be super-fast moving in terms of stock and demand. 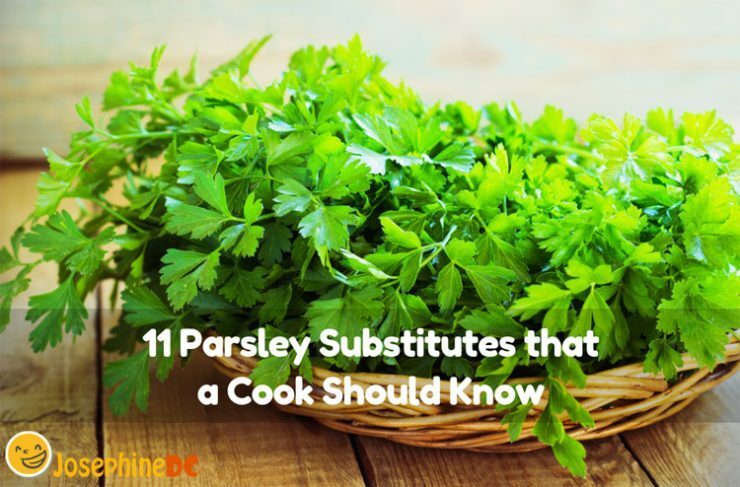 When looking for parsley substitutes, I may share with you some that could be of help! Any herb has its alternatives. Parsley is not an exception. You must be familiar with its slightly spicy tang in your mouth. It is fresh, crunchy, and light flavor makes it excellent use for a wide variety of recipes. You will find parsley in omelets, broths, sauces, Italian cuisine, egg recipes, and vegetable dishes. I have learned that our ancestors have cultured parsley since centuries ago. Ancient Greeks and Romans use the herb for healing purposes particularly treating several sicknesses such as toothache, bronchitis, and hangover cure. They also make use of it in absorbing unpleasant odors and fumes. Let us thank the Romans for cultivating parsley as a culinary ingredient specifically for garnishing. Now, you are enjoying what it has to offer when cooking. All parts of the herb can be useful, may it be the leaf or the roots. When parsley is not available, or when you are allergic to it, try to check my list of substitutes. Find one that is closer to what you need. Chervil is a distant relative of Parsley. Under the family of carrots and celery, both are common ingredients when it comes to French recipes. In fact, chervil is a favorite pick for most chefs. 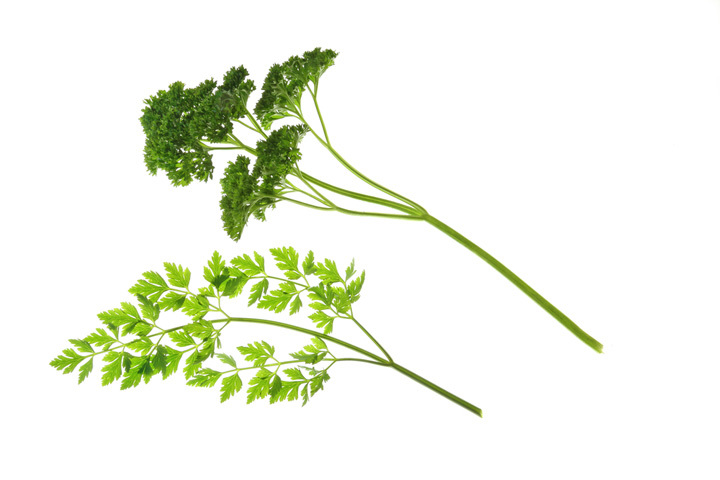 Since Chervil looks closely alike of parsley, it is no surprise that it is the first choice as an alternative. Does it taste like parsley? This herb tastes like anise although milder. It is perfect for garnishing in your dish since it matches the savor of your cooking. Besides, Chervil stands up even for prolonged exposure to heat because its essence releases gradually during the cooking process. Parsley, on the other hand, cannot withstand. 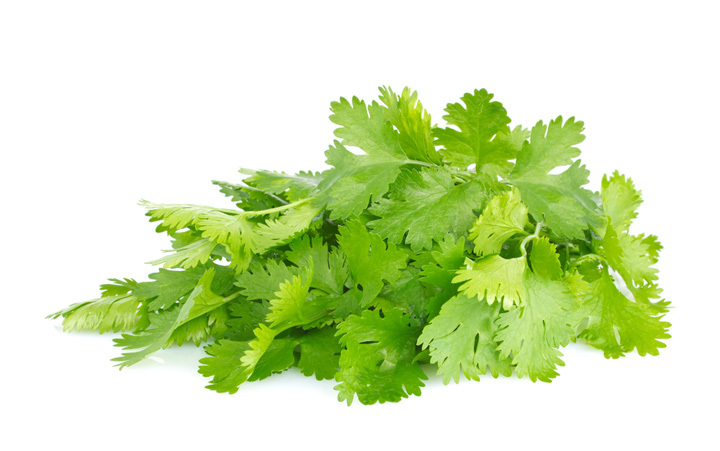 You will be surprised to know that cilantro is one of the best substitutes for parsley. Why? Both herbs have different taste. Visually, it looks precisely similar to parsley. If you would not opt for a taste test, it may fool you. Cilantro has an exceptional and strong tang that others may call “soapy.” Hence, when you opt for cilantro as a parsley substitute, you may want to start with a tiny portion first unless you already know that it goes well with your recipe. 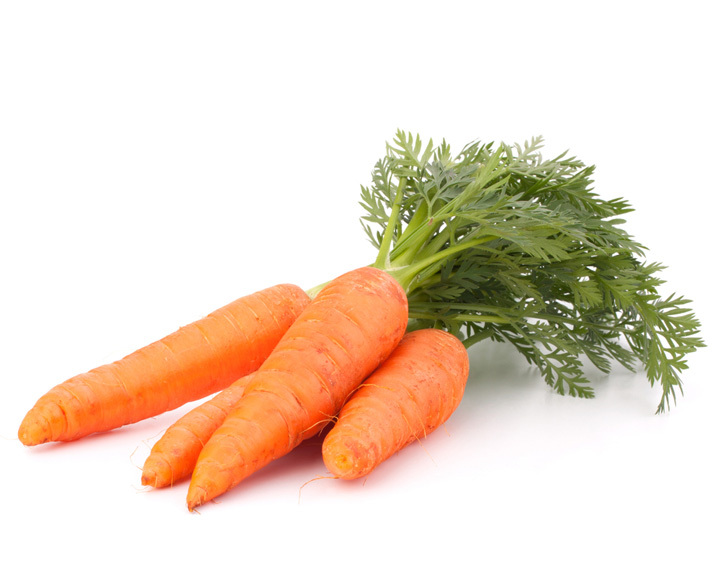 It is no secret that carrots are the same group as parsley. With all the nutritional value a carrot can offer, it is indeed hilarious to learn that once, people a long time ago thought of carrot tops as poisonous. Cut out all carrots greens and chop it the way you do when cooking with parsley. Sprinkle it on top of your dish to make a lustrous garnish. The bitter-like flavor of carrot greens is almost the same with parsley. Hence, it is an excellent candidate for a substitute. It is perfect for salads and pesto. Celery is my favorite to mix with salad. Little did I know that it is a great substitute for parsley? Carrots, parsley, and celery are one big family. Maybe that is the reason why they almost taste alike. For garnishing alternative, just chop some celery leaves and scatter them on your cooked recipe. The celery greens actually are very light in flavor so it will not dominate the savor of your dish. Lovage is close enough to parsley and celery. I also recommend this herb as an alternative for parsley. You can count on these greens to match the taste and looks of parsley. However, as a downside, it is seldom to sell lovage in the market, and it is hard to find sometimes. Therefore, lovage may be a first-rate substitute for parsley, but I suggest making it last on your list unless you know where to buy it. Sometimes, I look for basil when I run out of parsley. Yes, this herb can also be useful as a replacement. 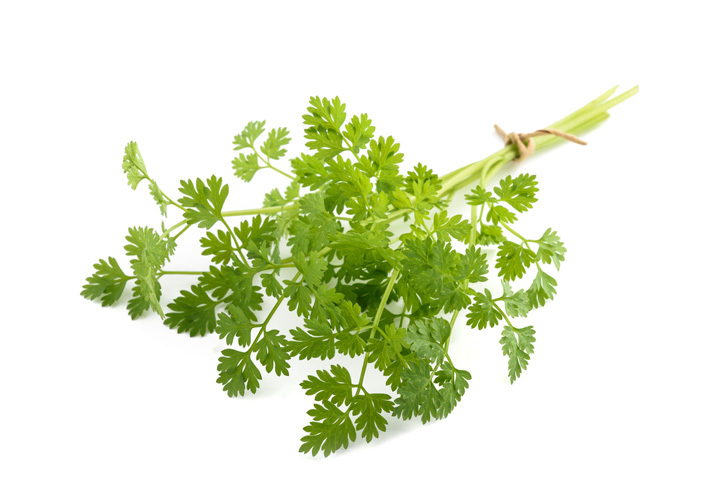 It has a strong and unique aroma than parsley, but it offers the same green look-alike herbs after chopping. The leaves do not have the shape similar to parsley, but you try garnishing it on your dish in bits. You cannot tell the difference at all. 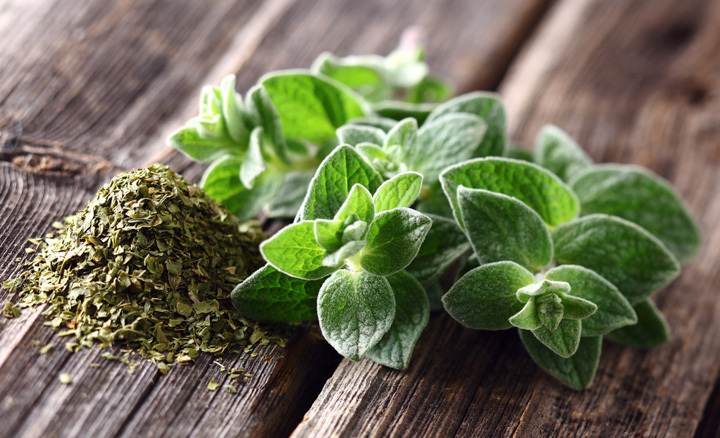 Although Oregano and parsley are close enough in terms of earthy flavor, the herb is tangy if you are referring to taste. It actually belongs under spices that are strong in flavor and are recommendable to spice up stews, curries, and soups. 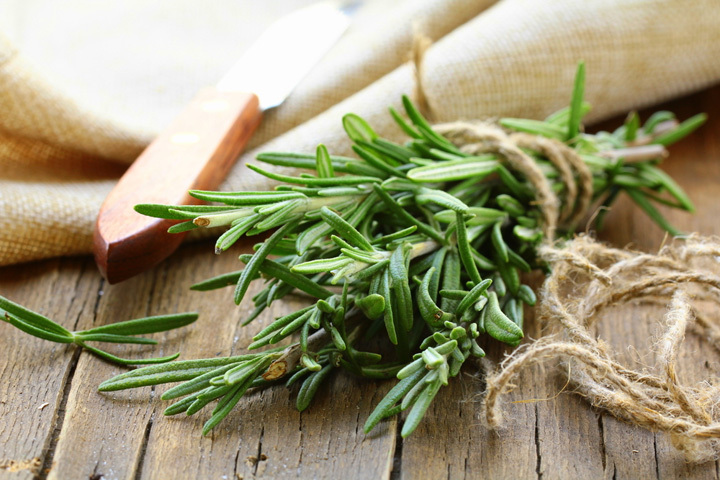 Do you know that Rosemary is also one of the most fragrant herbs there is? There is no doubt with its pungent flavor since it is its own unique taste. However, Rosemary can only serve as a Parsley substitute when you are up to cooking a recipe that has a high kick on it. If you want a high extent of spiciness in your dish, go for Rosemary. Rosemary is a great alternative for parsley particularly when you will deliberately cook the spices and not merely for seasoning. Rosemary and Parsley’s flavors are complementary to each other even amidst their obvious difference. Although the familiar sweetness of mint is identifiable, it is a little bit spicy than parsley. Hence, it can influence the taste of your dish as sweet. Nevertheless, they both have the same nutritional value and is likewise useful as a garnish too. 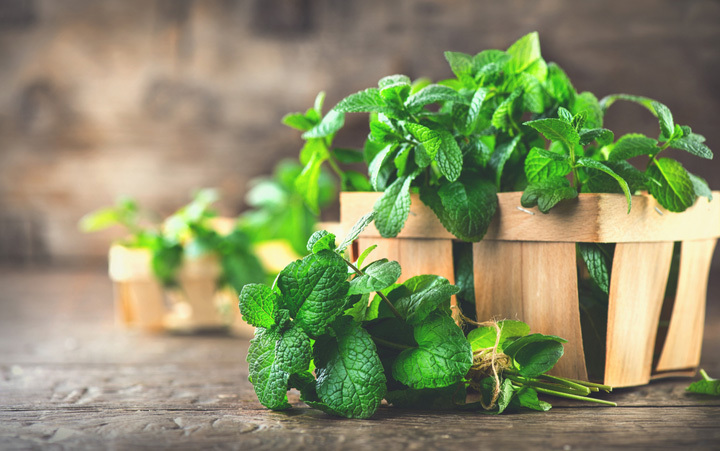 When it comes to an area like Middle Eastern and Asia where sweet and spicy are the usual, using mint as an alternative for parsley is not even noticeable. It is funny when you make parsley as a substitute for parsley. However, I am referring to dried parsley replacing fresh parsley. Of course, what more is a closer substitute than the plant itself? My first option when looking for a substitute is dried parsley variation. 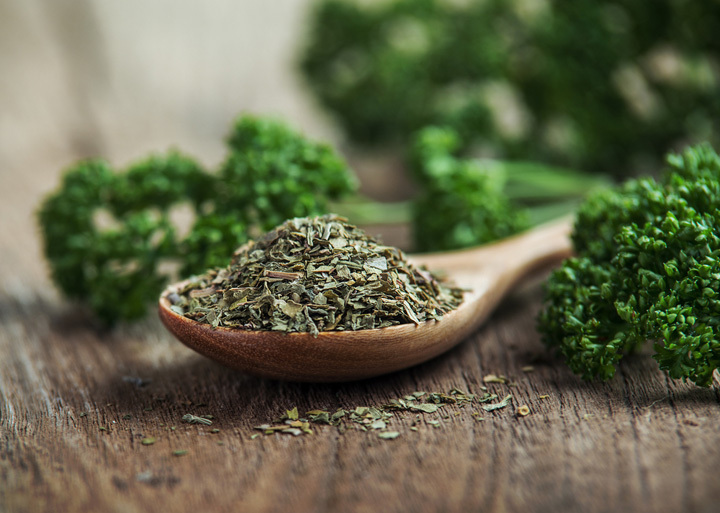 Do you know that in dried parsley, experts say that its effectiveness triples than the fresh one? Therefore, take note to lessen the portions when you prefer dried as an alternative. I tell you, it is hard to tell the difference of the taste. 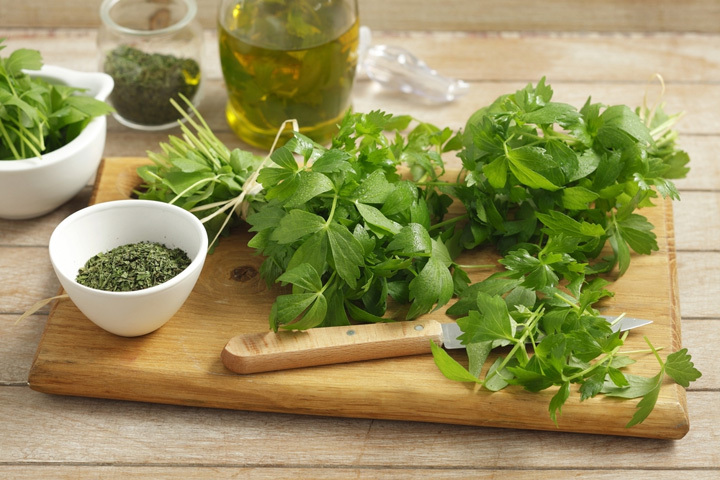 Are you surprised to know that there are two types of parsley? Either one can be a substitute for the next. However, curly-leaf parsley is only good for garnishing. Hence, this is often an alternative when you are making Italian dishes. Flat-leaf or Italian parsley, on the other hand, is dominant in flavor. Therefore, you may lessen the portion of what you need when using as an alternative for curly-leaf parsley. Parsley has plenty of health benefits. It is rich in nutrients such as vitamin A, K, and C, with beta-carotene, folate, and iron. On top of all that, it has a high level of volatile oil compounds that gives advantages to our well-being. However, with these benefits, you may prefer the curly-leaf parsley. Use it as a base for salsa recipes. My list of substitutes is easy to find anywhere. When looking for parsley substitute, you may want to consider first your need. 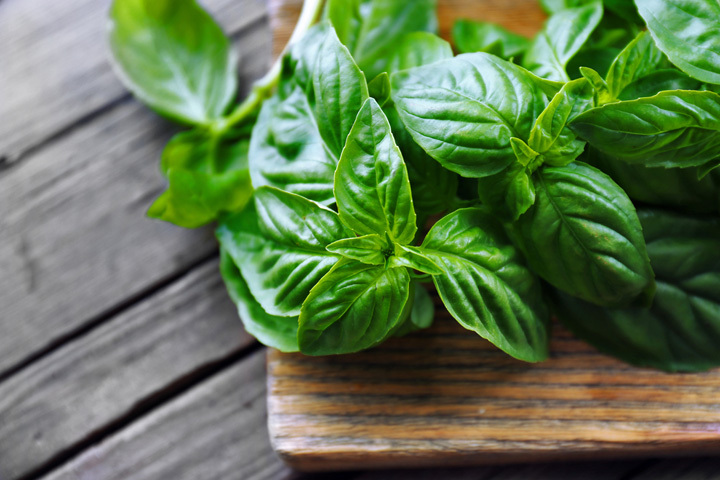 Are you going to use the herb for garnishing or for cooking? You can use any of the substitutes when it comes to garnishing. Garnish does not influence the taste of the dish but is just there to add a mouth-watering presentation of the recipe. However, when you need to use for cooking, I advise being meticulous in picking one out of the list. Think of the flavor you need before choosing one as an alternative. Sometimes, using replacements when cooking calls for expertise. Now that you have my list, it would be easy for you to find one substitute. Remember to consider the recipe you are making. Good luck!